Wirehouse Merrill Lynch is reviewing its ban on commission-based retirement accounts — a ban put in place a year and a half ago in light of the Department of Labor’s fiduciary rule, the Wall Street Journal reports. The wirehouse is reviewing such possible changes to its 2016 ban as easing restrictions on stock and bond trades, and private equity investing in retirement accounts, a person involved in the review tells the Journal. The review is expected to take around 60 days, according to the paper. Merrill Lynch doesn’t believe many accounts would go back to being commission-based, the person tells the Journal. 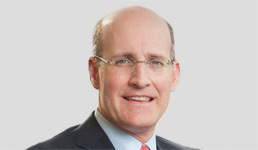 “While we’ll remain a standard-bearer on [the fee] front, we’d be remiss if we didn’t consider additional flexibility and choice we can provide to clients,” Andy Sieg, head of Merrill Lynch wealth management, tells the paper. Back in 2016, the wirehouse aggressively advertised its ban of commission-based retirement accounts as the best way to protect clients’ best interests, following that summer’s partial implementation of the DOL’s rule, which purports to require retirement account advisors to put clients’ interests ahead of their own. Industry experts at the time said Merrill Lynch would stay the course with the ban even if the rule would get repealed. The rule has since been vacated by an appeals court and the DOL has missed the deadline to appeal that decision in the Supreme Court, effectively putting an end to the Obama-era regulation. Merrill Lynch’s brokers are happy with the review: one veteran advisor at the wirehouse tells the Journal a reversal of the ban would let its brokers compete with rival firms that continued letting their retirement account clients use commission-based accounts. But some Merrill Lynch brokers also tell the paper it could be “embarrassing and confusing” to explain the reversal of the ban to clients. Consumer advocacy group Consumer Federation of America, meanwhile, also welcomes the review, according to the Journal. “If investors who are better off in a commission account have access to one, then that’s beneficial,” Barbara Roper, the group’s director of investor protection, tells the paper. “We never felt a transition to fee accounts was necessary to comply” with the rule, she tells the Journal.